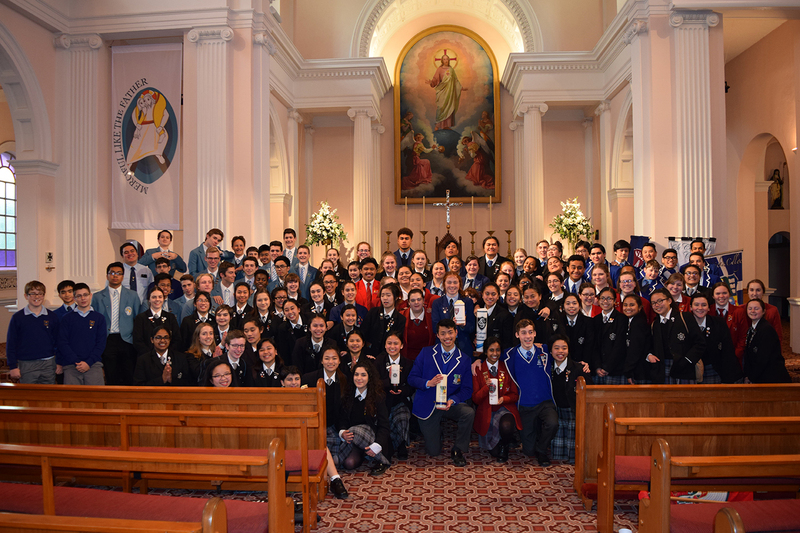 Over 100 young Vinnies’ students from Chanel, Bishop Viard, St Bernard’s, Sacred Heart, St Catherine’s, St Patrick’s Kilbirnie, and St Patrick’s Silverstream Colleges, joined with host college St Mary’s for the annual Vinnie’s Mass at Sacred Heart Cathedral. It was celebrated by Fr James Lyons, and also attended by teachers, families and friends. The St Vincent de Paul Society acknowledged the students’ generous and loving work done throughout the year in many areas of the community. District Council Presidents John Kennedy Good, Mike Driscoll and Des Horan gave out badges and encouraged the Vinnies to continue their works of charity and mercy.